We are so excited to be doing a Mindful Strides Workshop this weekend at Lululemon Robson location. If you could not make the weekend workshop in Victoria then check this out! Marilyn and I will be doing a one day workshop June 20th at Lululemon Robson from 2pm-5pm. If you want some more information or to sign up check out www.mindfulstrides.com. Since returning from Victoria I have been paying close attention to my form. It was so nice to learn the drills from Marilyn. She is so much fun! I had a double 45′ on Monday. 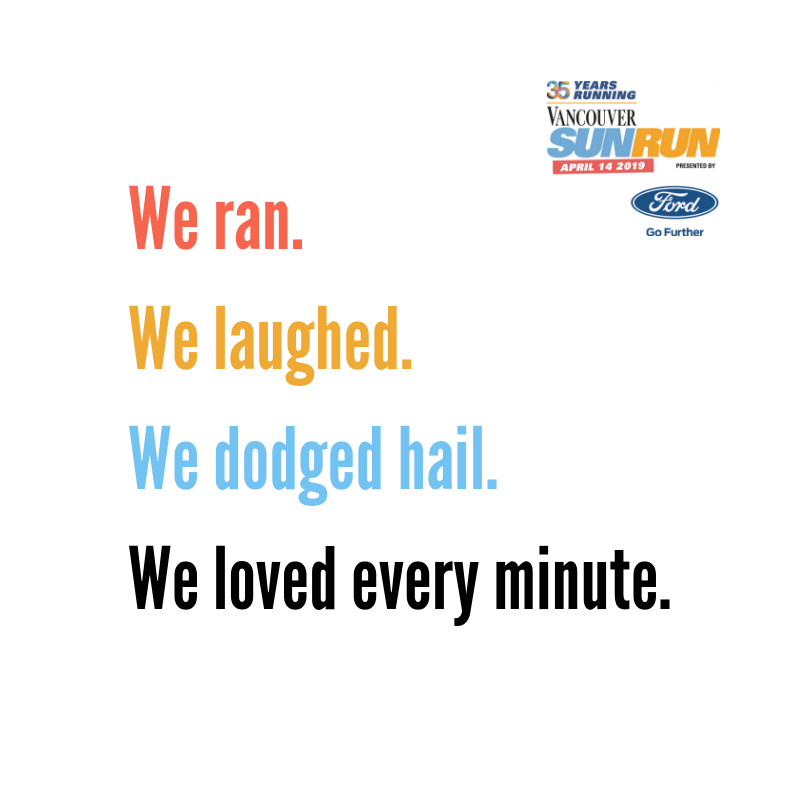 My legs were a bit tired from the Sunday long run in Victoria. It was great to run with Marilyn and Kirsten Sweetland but I am not used to running at that pace and so many hills. Today I did 8 x 2.5′ at a 5k pace. I think I am still a bit tired from the weekend as I had a hard time getting my HR up. It will be nice to have a day off of running tomorrow! Tomorrow I will be teaching my first class at the YMCA the new location Burrard St at 1:15-2pm. Come by for some mid afternoon hip openers!